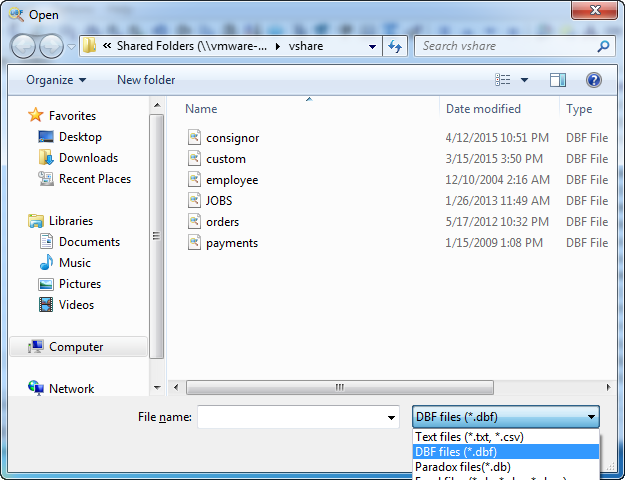 Select the file you want to merge with the currently opened DBF file and click Open. DBF Viewer 2000 will open the selected DBF file and display the Append dialog where you can preview the contents of the selected file and adjust importing options. There are two options here. The "First row" option allows you to set where the data from the source DBF will be appended to the destination DBF. Zero means data are appended after the last record in the destination DBF. The "Remove all records" option deletes all records in the destination DBF file before merging. Technically, this means you replace contents of one DBF file with contents of another one. The "Command line" button displays the command line you can execute later to do the same merging as this one. When you are done, click OK to merge two DBF files together. 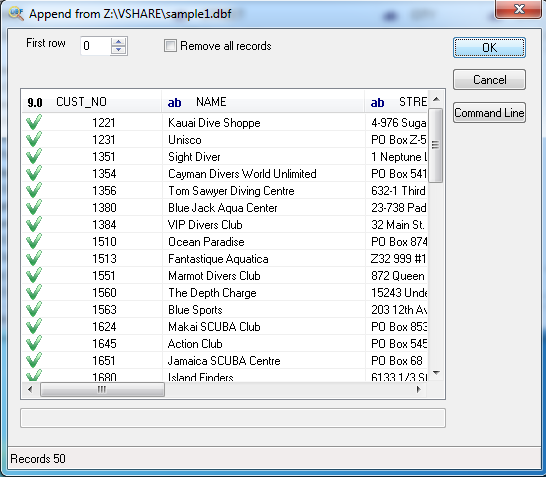 Sometimes after merging DBF files the resulting dataset may contain duplicate records. To remove duplicates, use the Tools | Delete Duplicates menu. DBF Viewer 2000 will scan the records and will automatically remove identical ones. "c:\Program Files (x86)\DBF Viewer 2000\dbview.exe" /APPEND:file.dbf,"z:\mybase\*.dbf"